The all new Holiday Club from Scripture Union, TeamBuilders is the perfect theme for high energy, sports-loving 4-8 year olds. Looking for a fun, new theme for a Holiday Club? The team needs you! Come and join in, play your part, make your mark at TeamBuilders. Discover some fantastic stories, and find out how you can be part of an awesome team with an amazing story to tell! Teambuilders: Team Tactics (10 Pack) for 5-8s by Alex Taylor was published by Scripture Union in October 2017 and is our 4949th best seller. 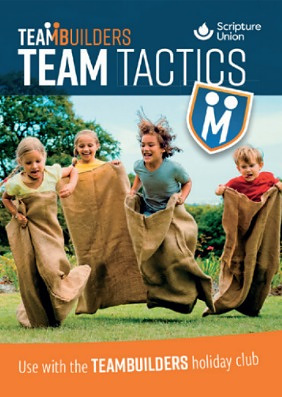 The ISBN for Teambuilders: Team Tactics (10 Pack) for 5-8s is 9781785066672. Be the first to review Teambuilders: Team Tactics (10 Pack) for 5-8s! Got a question? No problem! Just click here to ask us about Teambuilders: Team Tactics (10 Pack) for 5-8s.